There has been so much pressure on the various people in leadership at the National Prosecuting Authority for so long, that you would for be forgiven for expecting it to produce little work. Instead, in a recent flurry of activity, charges have been laid against prominent people in a variety of cases. Claims are emerging of a plan to even charge the NPA's former head, Mxolisi Nxasana. But, each time someone high profile like this is charged by the NPA it increases the risk of more embarrassment for the organisation and the people who hold some of its top positions. By STEPHEN GROOTES. This time last week everyone was talking about the NPA’s decision to criminally charge former prosecutor and now DA MP Glynnis Breytenbach for an offence of which she has been exonerated by an internal disciplinary hearing. At the time we suggested that this could be the point at which the NPA starts being seen as a political hit squad, rather than an independent institution it must be. First, the NPA decided to re-charge former KwaZulu-Natal Hawks head Johan Booysen with racketeering. Then on Friday, it announced it was also formally charging the former head of the Hawks, Anwa Dramat, the organisation’s former Gauteng head Shadrack Sibiya and Captain Lesley Maluleke. On Sunday, the City Press said it believed that Nxasana himself was being investigated with a view to charging him with sexual harassment. All these cases are serious. They relate to people who held top jobs and they all could have serious political overtones. If you think that means we’re suggesting that it’s possible they’re actually being targeted, you’re dead right. The suggestion around Nxasana is that he made inappropriate comments about a woman who was working for him as a personal assistant. Speaking to 702’s John Robbie on Monday morning, he said any claims like this against him are baseless. He also suggests that this person was working as the PA to the then-acting NPA head and now deputy head again, Advocate Nomgcobo Jiba. This claim could fit neatly into the dominant currently understood narrative around the NPA. It is well known that Jiba and Nxasana did not hit it off. He laid charges of perjury against her. He had her investigated by former Constitutional Court Judge Zac Yacoob. She refused to comply with that investigation. The NPA was, it seems, split into those who supported her and those who supported him. When Nxasana left, R17 million richer, no one would have been happier than JIba. And no one would have a better motive, means and opportunity than her. This narrative would suggest that considering her current position (not just as a deputy NPA head, but also as the person in charge of prosecutorial services) she would be well-placed to do this sort of thing. However, the NPA hasn’t just issued a denial; it’s issued a blanket denial. Its spokesperson Advocate Luvuyo Mfaku first told the City Press it was “utter nonsense”. Then he said on the Midday Report on Monday that it wasn’t just that they were not charging Nxasana, it was that they were not investigating him, and that the paper should have checked this with the police. That is all well and good. But we also have to consider that the City Press reporter on this story was Abram Mashego. And his coverage of the NPA has set the agenda. He has broken several important stories that have all stood up. It would be very strange for him to get something like this so wrong. No doubt, time will tell. The case against Dramat, Sibiya and Maluleke is also incredibly odd. The claim against them is that they were involved in the illegal rendition of several Zimbabwean citizens. It’s alleged they were basically caught here and then handed over to the Zimbabwean police, no questions asked. At least one of them died, as the report would have it “in police custody”. This would really mean they were murdered by the Zimbabwean police and these three men are responsible for his death. As a result, one of the charges against them is kidnapping. What makes this so strange is that these claims first emerged against Dramat in December 2014. It’s taken over a year to get to this point. But along the way Dramat fought a long battle to stay in his job. And in the end, he took a big pay-out to leave. Why were charges not brought against him sooner? And why, if everyone is so sure that he is guilty, was he actually paid millions to go? Surely that’s not the act of a Police Minister, or a Police Commissioner, who think they have a strong case against a top official? Now, let’s look at the people involved. There is Riah Phiyega, who has herself been suspended by the person who appointed her in the first place, President Jacob Zuma. And that well-known opera fan Nkosinathi Nhleko as the Minister of Police. Dramat has a track-record of never being accused of corruption. Last, but not least, we have the case against Booysen. What is amazing here is that the charges that are now being brought against him are exactly the same as those that were brought against him, and then withdrawn in March 2014. They were withdrawn after he went to court to challenge the decision to prosecute. In that hearing it emerged that Jiba had relied upon an affidavit that did not exist at the time of her decision to prosecute him. 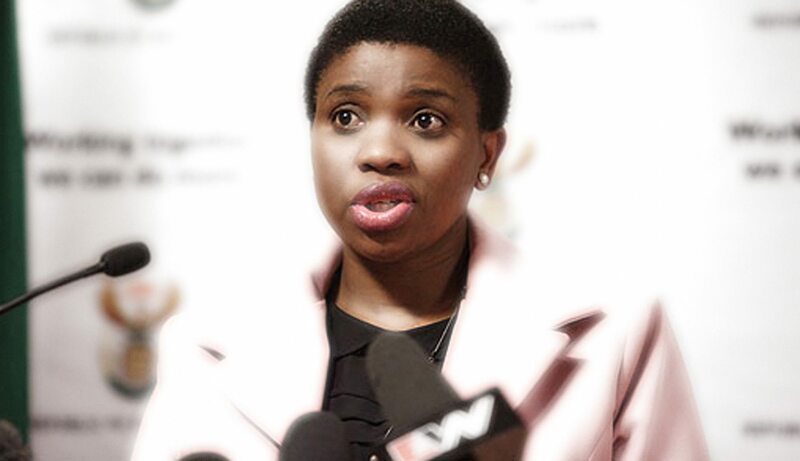 As a result, the charges were withdrawn, and Jiba was criticised by the judge for her conduct. And Nxasana then laid charges of perjury against her. Which were then withdrawn by the new head of the NPA, Advocate Shawn Abrahams. The Booysen case has huge potential for inviting more embarrassment on the NPA and Jiba. Because if, or when, Booysen asks for the charges to be withdrawn, the answer is surely going to follow the earlier precedent. There is no new evidence, no new witnesses. And Jiba is surely going to be slammed again. But, so will her boss, Abrahams. This begs the question. Why on earth would you go through this again, if the intent is not simply to harass someone? However, this also leads to other questions. We know that Jiba clearly wants to prosecute Booysen. Did she battle to convince Abrahams? Or did he take the job so quickly on the proviso that he would just do whatever Jiba said? Considering that she may not survive a court challenge on the question of whether she is “fit and proper” under the law, was Abrahams appointed just to sign the documents she places in front of him? Or, considering the roles that all these people have played in the police and the NPA is this really a continuing fight for control of the criminal justice system? Are Abrahams and Jiba playing on a certain side here? It could be of course, that there are perfectly innocent explanations for all of this. Maybe all of these cases are perfectly legitimate, and will result in convictions. But Abrahams still seems intent on ignoring requests for an explanation. Why were the charges against Jiba dropped? Why did one of your other deputies, Wille Hofmeyr, write a damning affidavit against Jiba? What are you doing about the obvious conflict between them? And why is Booysen being charged with exactly the same charge-sheet when you lost the last time? An explanation, verbal, written, or otherwise, could go a long way to resolving these questions.